Visiting Antarctica is an adventure on many people’s travel lists. But once you book it, what should you pack? Follow this guide to find out. 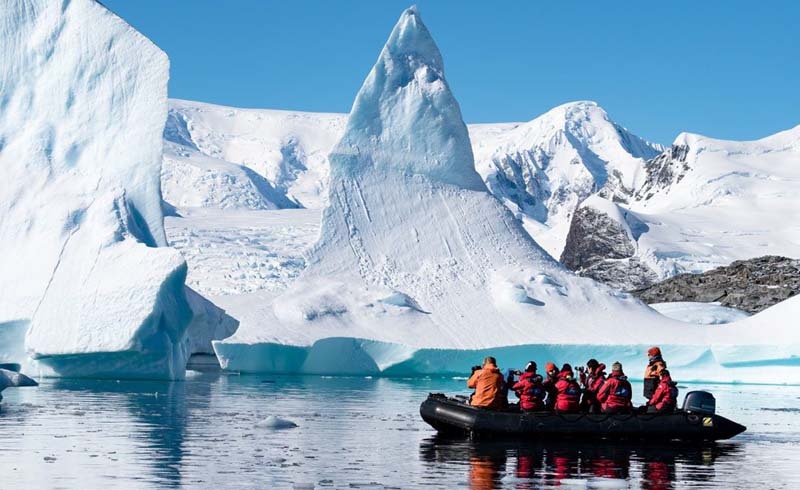 Antarctica is a must-see destination for many avid travelers. Getting there requires fortitude (the three-day boat crossing over the Drake Passage is no joke), but once you’re there, it’s worth it. The White Continent fulfills its promise of otherworldly views and the opportunity to get up close and personal with its residents, like humpback and orca whales, and chinstrap and Adélie penguins. Packing for this once-in-a-lifetime journey can be a bit daunting, though. Not only do you need to prepare for the elements—both on shore and on deck—but you also need to pack for your time on the boat. Read on for a comprehensive guide on what to bring. When I visited Antarctica, I had no idea what to expect, weather-wise. Sure, I knew it would be cold, but I live in Colorado—how much colder than that could it be? The answer is, well, it depends. We had some blue-sky days, when the sun shone down so strongly that we had to unzip our parkas and shed our layers. There were also days, however, that were overcast and drizzly with a cold that insinuated itself into our bones. A warm, waterproof parka: Before you pack one, though, double check that you’ll need it. Most tour companies will provide this parka as part of your package, which means you and your group mates will all be rocking the same bright yellow jackets on shore excursions. 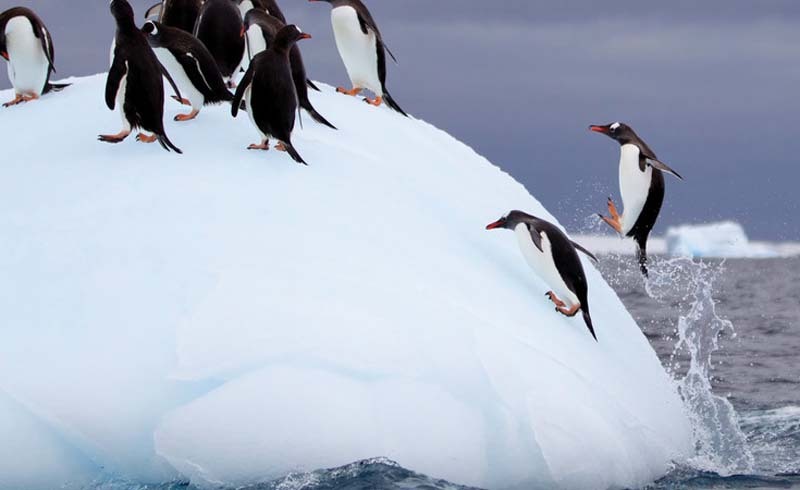 Embrace the sameness—after all, the penguins are all wearing the same outfit, right? These jackets are designed for the elements, complete with a cozy hood, so wear them proudly. Layers: Consider how many layers you may wear skiing or snowboarding, and then double that amount. You can never have too many, and it’s better to be warm than cold—shedding layers you do have is a lot easier than adding ones you don’t. Pack pieces like long underwear, base layers, and fleeces for top and bottom. Natural fabrics, like merino wool, and manmade wicking fabrics work best in terms of keeping your body temperature regulated. Sunglasses or goggles: Eye protection is crucial when packing for Antarctica. The sun reflects fiercely on the snow, and you need to be prepared. Glacier glasses, designed for mountaineers on glaciers, are best; but high quality, polarized sunglasses or goggles will also work. A bathing suit: No, I’m not kidding. One of my most memorable experiences was participating in the polar plunge at Deception Island, Antarctica. This is one opportunity that you want to at least have the option to try, so pack a bathing suit, just in case. NOTE: Antarctica has a strict “Don’t Pack a Pest” policy to keep non-native species from infiltrating. Your boat will have procedures for docking and returning that help with this, but you can do your part by making sure all your gear—including things like zippers, Velcro, and the cuffs of your pants—is clean before you visit. Comfortable clothing: There are interesting lectures to attend, as well as meals and social occasions, but nothing is very fancy. Pack comfortable clothes—whatever makes you happy—to relax in after you spend a day on the ice. Items like jeans, sweaters, and fleeces are appropriate. One nicer outfit: The last night of an Antarctic cruise is always a celebratory captain’s dinner. I wore a travel dress I had packed, and it was nice to surprise people by not showing up in jeans! Packing organizers: Use packing cubes to keep your excursion clothes and boat clothes separate. The cabins are fairly small, so this will also help keep your room organized. Adapter: The outlets vary from ship to ship (ours had European outlets), so be sure to take a universal travel adapter to charge your devices. Toiletries: Be sure to pack sunscreen and any medication—like motion sickness remedies—that you might need. There is a doctor onboard, but it’s best to be prepared. Camera: Don’t forget your camera and all its accoutrements! Antarctica is a photographer’s dream, so make sure you have everything you need to document your trip. That could mean your smartphone—it’s gorgeous enough there that it’s not hard to capture great shots. But if you go that route, bring a separate charging pack for your phone: The cold will drain your battery quickly. Organize all of your various accessories in a Pack-It Specter Tech™ Sac Set. Entertainment: The journey from Ushuaia, Argentina to Antarctica takes three days over the Drake Passage and three days back, plus time on the boat between excursions. There will be educational lectures, opportunities to roam the decks, and plenty of people to talk to, but it’s a good idea to bring some of your own entertainment, like books or an e-reader, a journal, or even a deck of cards. Antarctica is located below the equator, so its seasons are opposite from ours in the Northern Hemisphere. The best time to visit is during their spring and summer, between November and March. The days are long—twilight is around midnight—and travel is easier. Want to see penguin chicks? Visit in January. If you’re looking to spot whales, go in February or early March.